In this unrepentantly subjective feature I look at the evolution of Western comic books, the present state of sequential art, the medium’s digital potential and what publishers must do to ensure future interest. Depending on whom you ask, the comic book is dying, enjoying a creative renaissance, or slowly being integrated into largely non-profitable webcomics and e-books. These opinions are all correct to a certain degree. 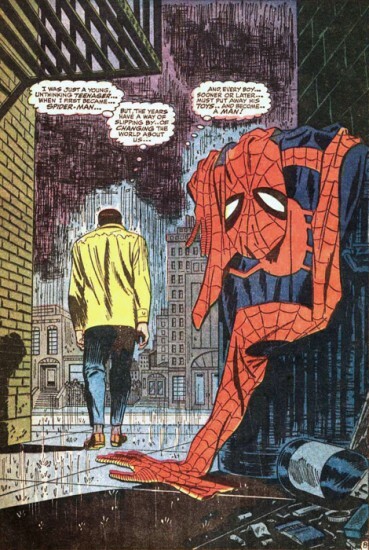 Sequential art, as Will Eisner coined it, is a medium so flimsily defined that it’s impossible to pinpoint its origins, or to even say precisely what a comic book is, and what is purely an illustrated novel or picture book. The comic book, so-called because its contents were traditionally exclusively humorous, is arguably not so much dying as it is evolving. Sales of American comics have consistently dropped since the collector’s boom of the 1990s, and many publishers continue to churn out monthly material in the hope of scoring a lucrative movie deal than for the sake of producing entertaining and thought-provoking stories in a comic book format. Please note: the following brief retrospective is not intended to be extensive, but rather a concise summary of some of the key points in the last century of the medium. While the blending of image and caption can be traced back to, amongst many other sources, Egyptian hieroglyphs, Japanese art and the satirical cartoons of William Hogarth, the comic book only hit the level of narrative sophistication resembling its modern descendent in the late nineteenth and very early twentieth centuries, when comic strips were included in American and European newspapers. These strips soon became so popular that they would be complied into cheap paperback collections, essentially forming the first graphic novels; though that term that would come much later. Influential comics of this era included Max and Moritz by Wilhelm Busch, The Katzenjammer Kids by Rudolph Dirks, Richard F. Outcault’s Yellow Kid and Hogan’s Alley, and Ally Sloper’s Half Holiday. In Britain, Comic Cuts and Illustrated Chips established the format of comic strip anthology that continues today in the form of the Dandy and Beano. Hergé’s intrepid journalist Tintin also made his debut in 1929, and it wasn’t long until bright sparks saw the profit in printing new, longer comic strips without the complimentary news articles; a movement that struck gold in 1938 with the introduction of Action Comics, and its super-powered protagonist Superman. National Allied Publications’ man of steel proved so popular that within months other publishers were clambering for a piece of the superhero pie, and throughout the next decade characters such as Batman, Wonder Woman and Captain America were introduced. It wasn’t unusual to see Captain America or the Human Torch knocking the seven shades out of Hitler and his Nazi pals; however, after the Second World War these books soon lost their popularity to horror comics such as Tales from the Crypt and the crime, western and romance genres, and sales swiftly plummeted. More positively, across the pond Osamu Tezuka would also begin defining manga, which would find its own direction and visual language. But the birth of the Comic Code in 1954 saw these uninhibited genres meet an equally sudden demise, which DC took advantage of by revising their most famous (and innocuous) characters such as the Flash, Green Lantern and Hawkman. Thus began the Silver Age of comics. Marvel, the heir of Timely Comics and Atlas Comics, launched the seminal Fantastic Four series in 1961,and with artists including Jack Kirby and Steve Ditko, Stan Lee’s brand of relatable heroes soon expanded to the Incredible Hulk, Spider-Man, Iron Man, Thor, X-Men, Daredevil and many others. Throughout the late 60s and 70s, America and the UK saw a minor rebellion against the comic medium’s widespread censorship in the Underground Comix movement. 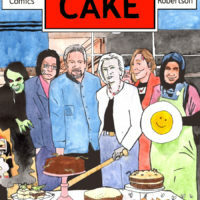 Often deliberately controversial, absurdly satirical and borderline pornographic, comix gave birth to the careers of numerous influential individuals including Gilbert Shelton (Fabulous Furry Freak Brothers) and the inimitable Robert Crumb, whose principles would eventually gain mainstream artistic recognition with such works as Harvey Pekar’s American Splendor. In many ways the comix movement proved an influential force behind independent/alternate non-superhero titles brought into prominence in the 90s by Daniel Clowes and Charles Burns amongst others. Arguably, this idiosyncratic approach would in turn influence the digital direction that comics book have been taking from the late 90s onwards. It should be noted that in much of Europe the elitist prejudice towards comics as a viable storytelling device has never been as severe as it was in the USA or Britain. Which is probably why many of the most original and popular webcomic creations today are of a European origin. From the early sixties until today mainstream American comics books have essentially gone unchanged and are, for better or worse, still driven by distinct niche genres. But while the 70s and 80s didn’t see dominant publishers Marvel and DC alter their strategy, an influx of new talent saw the superhero genre evolve into something more mature. Dennis O’Neil’s Green Lantern/Green Arrow series tackled issues such as drug addiction, subjects which had previously been avoided by mainstream publishers, while Batman became an increasingly dark and more cerebral crimefighter. Violent anti-heroes Wolverine, Judge Dredd and the Punisher made their debuts, and the black and white ethics of superior comics would only continue to be analysed and deconstructed by future talent. Miller’s Batman: The Dark Knight Returns in 1986. Critically acclaimed, both of these titles helped sway the literary consensus that superhero tales were exclusively aimed at juveniles. 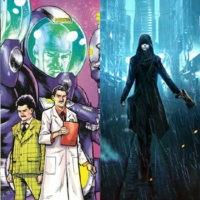 DC would later capitalise on this mature market (and the trend for using British writers) with such defining series as Neil Gaiman’s The Sandman, a regular series featuring Alan Moore’s supernatural detective John Constantine and a run of inventive reboots from Scottish writer Grant Morrison. 1991 saw the thirteen year culmination of Art Spiegelman’s opus Maus, which depicted the Holocaust through anthropomorphic animals. Like Watchmen, Maus’s impact helped reinforce the idea of comics as art. This darker direction not only saw the comic medium gain critical appreciation, but helped hook older reader back into the worlds they had enjoyed as children. Ironically, while sequential art was finally being celebrated as a formidable and creatively unrestrictive storytelling device, a series of high profile auction sales of the first appearances of Superman, Batman and Spider-man introduced the public opinion that comics were a viable financial investment. As this speculative collectors market saw massive growth (and the inevitable near-destruction several years later) of the comic book industry, several of the most renowned US illustrators, including Todd McFarlane, Jim Lee, Eric Larson and Rob Liefeld left their mainstream confines to form Image Comics. 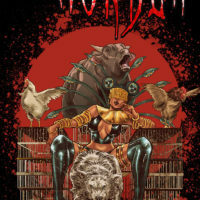 Initial Image titles such as Youngblood and Spawn were immediate commercial successes, and encouraged interest in other independent publishers such as Dark Horse, Malibu and Valiant. But it didn’t take long for many to realise that behind the glossy art many of these new titles and characters, those from Image especially, were hollow, deficient creations that glamorised violence and had placed emphasis on visuals over story. This drop in quality output was rife throughout the industry, with Marvel and DC churning out so many titles, many with multiple or gimmick covers, that the collector market soon lost interest, and the industry slowly fell into a state of continuing collapse, with many smaller publishers unable to sustain profitable sales and Marvel at one time considering selling many of their beloved properties. 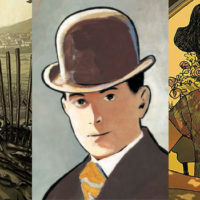 With digital comic art having been experimented with from the 80s onward by the likes of Dave McKean, it is now common practise for comics to be illustrated and coloured digitally. In a positive contrast to the magazine publishers that have lost sales to internet rivals, the comic book has seen a surge in the digital equivalent of self-published work. Webcomics, or digital comics, have potentially opened the stage up to anyone, and at present there are over 15,000 various webcomics in production. Many webcomics are later complied into graphic novel volumes, the majority of which are self-published. Yet while this digital revolution has handed both production and promotion tools to the people, few webcomics have actually garnered critical reception, and fewer still are able to gather enough visitors to make any sustainable profit. With many of these comics being treated as part-time endeavours for enthusiasts, the lack of profit involved means that many creators often opt for simpler, three-panel narratives similar to the comic strips found in newspapers in favour of more ambitious webcomic projects. But on a positive note, the digital material that is being created on a daily basis is potentially unrestricted; though the harsh reality is that, like the creators that formed Image, many aspiring artists and writers appear to simply want to replicate the worlds formed by Mavel and DC. But there is still enough interesting and varied independent work out there to satiate the comic industries many demographics; some markets, such as teenage girls, are sectors that have been severely overlooked by mainstream publishers in the past. Ryan North’s surreal A Lesson Is Learned But The Damage Is Irreversible (sadly now on hiatus) is just one of many webcomic strips that it is difficult to imagine getting either mainstream exposure, or indeed working within a conventional book format. Some comic journalist believe that micro-transactions and iPod integration will soon allow independent creators to reap reasonable rewards for their efforts, though this is still yet too be witnessed. Larger budget projects such as the Watchmen Motion Comic and Marvel’s upcoming Spider-woman webcomic are attempting to bring animation and voice work into the medium – which seems at odds with the virtues of affordability and accessibility that the digital comic medium promotes. Currently, these efforts tend to fall into the category of “not quite a comic, not quite a cartoon” and are generally met with apathy, but whether they will prove a short-lived fad or the starting block for another medium entirely is anyone’s guess. Despite flagging sales and an increasingly older readership – ironically all in the face of hugely commercial comic-based movies – the comic book industry has arguably reached a creative zenith. 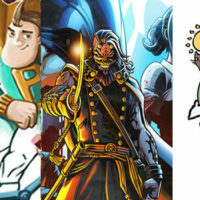 With little money to be made from the comics themselves, Hollywood studios and videogame publishers seem quite content to dip into these creative universes without feeling inclined to tinker with the comics themselves. As Acclaim’s disastrous acquisition of Valiant proved, it’s that the media machine needs continuous content output from the comic book industry to sustain interest in the intellectual properties themselves. The recent news that Disney is in talks to acquire Marvel Comics has set the internet alight with odd rumours, panic statements and the ubiquitous “Top 10 Marvel/Disney Crossovers” dream lists. While the latter may now be legally feasible, it’s still highly unlikely that Disney will want to interfere with Marvel’s current output; the comics themselves just don’t make that much money. Yet some might see this as a good thing, and with the rise in digital comics the medium appears to be once more returning to its creative roots. I guess the point I’ve been reaching for throughout this long, rambling mess of a “retrospective which incongruously contains future predictions” is that there is still hope. Though the tradition comic medium is unlikely to ever see the enormous sales it once enjoyed, the medium itself is finally seeing sincere interest from the press and art world alike. This exposure can only be a good thing. 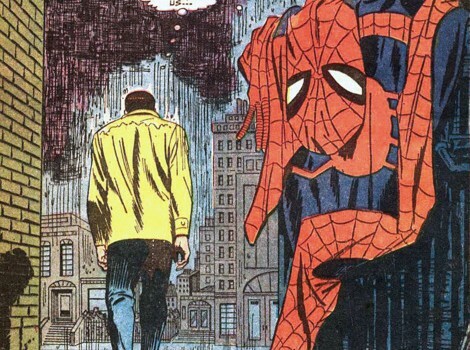 Now, try to envision the look of wonder on 14 year-old Billy Bash’s face as he wanders out of the latest Spider-man movie, his heart still thumping and the creative element of his brain suddenly realising a thirst for more. Strapped for cash, he heads for the graphic novel section in his local library – that such a thing now exists is proof of progress – grabs a few volumes and drags them home. Later, to his horror, the volumes he’s picked up are actually later chapters in an ongoing arc. Not that Billy Bash could have known though; each of the volumes he holds all have a number 1 on the spine. Marvel and DC are probably the most guilty of this one – restarting trade paperback collections of their flagship titles time and time again. Sure, first volume probably generate a little more interest, but the long term effect is that new readers haven’t a clue where to start. Image does a fine job with its recent graphic novels; titles such as Invincible and The Walking Dead are clearly labelled with separate colour schemes and layouts and distinctive spine designs. As do Vertigo and Dark Horse; the latter’s recent omnibus collections are definitely a step in the right direction. For the past few years Marvel have been placing an introductory page in the beginning of each monthly title, which generally offers a “previously on…” recap and brief profiles of the main characters. This works extremely well and essentially means that anyone can enter the latest issue of Spider-man with a reasonable idea of what is going on. Strangely enough, most other comic publishers haven’t followed suit. Were it to become commonplace for monthly titles and graphic novels to include a page or two of detailed back-story the lasting effect could only prove favourable. Make no mistake, every comic buyer is in their heart a completist. How do the publishers replay our loyalty? By bombarding us with so many series featuring the same characters. Presumably in an attempt to cash in on the recent Wolverine movie, Marvel is currently publishing three Deadpool series; there is simply no way the character can sustain that level of interest. Rather than concentrating on short-term cash cows, publishers need to think long-term. A well written series that fails to grab readers the first time around will usually get the recognition it deserves as a TPB. DC appears to realise this, and does make some effort to sustain series that get bigger critical receptions than sales. Marvel, Image and Wildstorm, however, are all quite content to cancel new title before they’ve hit double figures, only to instigate a reboot six months later… and then cancel it again. First issues may generate better sales for a few months, but in the long run this practice only serves to alienate new readers even further. One of the primary reasons that so many raw comic readers have read Frank Miller’s Batman: Year One and The Dark Knight Returns is that they require only a basic understanding of the character to be fully appreciated. But simple tales don’t have to be Elseworlds situations, origin retcons or reboots. A straightforward but exceptionally told Superman story for all ages, still set within the established universe, would be far more likely to find an audience than yet another continuity-burgeoned rematch with Zod. With the exception of the Ultimate universe, there is little effort from “the big two” to capitalise on their franchises’ cinematic success. Record stores should be encouraged to place relevant trade paperbacks beside the DVD releases; maybe (optimistically) today’s kids do want to read comic books, they just don’t know it. The Sin City books sold well following the film’s success because they were within their own accessible universe, and the miniature reprints were promoted in general book and record stores. As much as we nerdlings like to whine about Civil War and 52, the comic industry would be a far smaller place without the annual Big Event. My only beef with them is the overabundance of tie-ins that must infect the arcs of every other book. J.M. Straczynski is a great writer, but his work on Spider-man was hindered by a need to integrate the webslinger into each month’s current event. Not only do these tie-ins ultimately dissuade buyers, they ruin the trade paperback resale value. Suddenly, the nine volume epic a new reader has accumulated baffles him; apparently he should have read five other GNs from separate series between reading volumes eight and nine. Every big creative name in Hollywood seems to be writing comics now. Granted, Kevin Smith, Joss Whedon and J.M. Straczynski would obviously produce something special; and Ian Rankin was practically born to write John Constantine. But John Woo? Guy Richie? Richard Donner? Woo’s Seven Brothers was clearly the work of Garth Ennis, Richie’s Gamekeeper was uninspired, and Donner’s Superman was a poor substitute for Brubaker’s. Of course, new and unknown talent isn’t going to bring in the same level of attention… at first. But Gaiman, Moore, Ennis and Ellis all had to start somewhere. 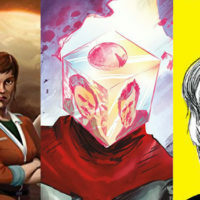 When the celebrity trend has fizzled out, the comic industry will suffer from a dearth of new talent, and gifted writers will have found other outlets through which to tell their tales. An escalating level of elitism from the fan community threatens to engulf the industry. On too many occasions to recall have I seen a blameless, loving parent virtually dismantled by a comic vendor for asking where the Simpsons comics are. Though other media forms are largely responsible for the fall in comic book sales, this level of snobbery has only helped rob an entire generation of great stories.